On latest CentOS, integrated with the world's most popular eCommerce platform, magento community edition. We, IGS, provide a list of images pre-integrated with most popular software for web solution. It includes ready-to-run versions of Apache/Nginx, MySQL, PHP, phpMyAdmin and all of the other software required to run each of those components. IGS image greatly simplifies the development and deployment of web applications. This image is built with CentOS 7.2 and bundled with following popular software for web service solution. Optimized to address your security concern. 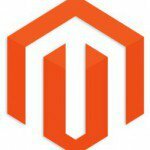 Magento Community Edition is an open-source eCommerce platform. Developers can implement the core files and extend its functionality by adding new plug-in modules provided by other developers. Since the first public beta version was released in 2007, Community Edition has been developed and customized in order to provide a basic eCommerce platform. Use following URL to open phpMyAdmin page, create a database for Magento before proceeding to install it. Or you can use the pre-configured database, do change the default password before using it. For database root password, refer to following file in you Linux file system after installation. Advise to change the database root password before using the database. Follow the installation wizard to install Magento community version.